I’m not the first to question the longevity of electronic publications – nor to be aware of the exciting potential they offer. But two recent events return my mind to the paradox. 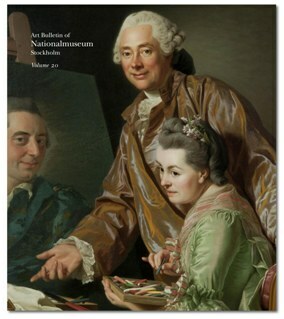 The first is the welcome news that the excellent and authoritative Art Bulletin of the Nationalmuseum, Stockholm is now freely and immediately available online, and is no longer a print publication. (It will also help many that most of the articles are in English, including the foreword which provides a clear manifesto for the advantages of digital publication.) The second was the discovery that my own personal website (not part of www.pastellists.com, but an old site with a short CV and list of publications) has not only disappeared, but had done so without my knowledge. I last updated it in April and confess I hadn’t looked at it since. And I don’t imagine anyone else had either, so I’m not going to reinstate it. If you’re remotely interested you can find a short biography in the About page on this blog. I’ve rehearsed before (and you will have your own experiences) the shortcomings of online publishing. High among these is the worrying tendency of authors to regard anything online as intellectually inferior to traditional publications: this doesn’t seem to stop them borrowing content, it’s just that they don’t seem to feel the need to acknowledge what they have used. To some extent that is understandable: the widespread instructions for “recommended form of citation” are ugly and error-prone (urls are designed for computers, not to be printed and retyped from paper documents). What really undermines the authority of online publications is the difficulty of locating them in the future. Even where extensive precautions are taken for backup (my Dictionary for example is available on the UK Web Archive), we just lack the confidence that we will be able to return to documents in the future – let alone locate the precise passage, when e-readers deprive us of the page number as the basic anchor for our knowledge space. To see what I mean just go to a resource like the Internet Archive, and try to locate a reference to a periodical. You can easily find issues of the periodical at the site, but trying to pick out a specific volume can take hours of random searches (particularly when you’ve seen them there before and know they are on the site). Why no committee of librarians has simply sorted this out by agreeing on how to tag the volume and year I cannot imagine. But what is clear is that the Google method, of focusing search on specific words in content rather than following directions from a previous author, has all but eliminated that approach to research. We no longer stand on the shoulders of giants, but burrow in the sand on the sea-shore. Google indexes words, not ideas (and so detects only the most inept plagiarism); scholarship is attached to ideas, wrapped in words but with an independent inner meaning. A good part of the advantage of electronic publishing lies in distribution. Particularly for heavy art books, the costs of road freight for small publishers can be crippling. Large publishers who have major distributors can deliver a 3 kg book anywhere in the UK for £5, anywhere in Europe for £8; but smaller houses who rely on the standard postal service will have to pay £10 and £27 respectively. So taking distributors out of the equation can dramatically change the economics of short-run publishing (just as important when it’s non-profit-making). You might think therefore that a business model should exist in which – just as in the eighteenth century, when books were supplied unbound because purchasers were assumed to want to bind their own sheets in personal uniform bindings – books could be delivered in pdf form for purchasers to print out for themselves. That this has not happened says something about how we regard what we read. It raises the question as to whether a book is anything other than the sum total of every reader’s experience of absorbing the text. Is there, to express this thought succinctly, a God in the Quad in whom one should regard the idea scholarship has created and published as having an existence on paper? No, I don’t think so either; if there is a Platonic idea in a publication its residence will not be two-dimensional, fibre based (unless of course it is actually a work of art – but that’s a different blogpost). So from that ontological point of view there can be no objection to electronic publishing per se. Rather the objection is the purely practical one, that among those whose reading experience is to be summed to constitute the “publication” are the great many future readers whose experience will not arise if the work disappears because it is not in durable form. And you have to offset that against the resurrection of new generations which electronic scanning has given to all those nineteenth century proceedings of obscure academies which had effectively disappeared for ever before Google Book rediscovered them. Provided of course they used Google-able phrases (see this old post). Of course equating a publication to the sum of its readers’ experiences is perilously close to measuring its value by the number of times it is accessed. All the concerns about group-think and the vacuity of social media arise, and compound what is already a growing concern in the academic community about the insidious reliance on citation statistics in measuring academic worth, whether for research grants or for appointments. That too deserves a separate post. The Editorial Committee of the Art Bulletin see peer review as “the way forward in safeguarding the quality of the research published.” I am less confident that that is the answer to the longevity question – and I am not even sure that it’s as effective a tool as it is assumed to be in academic publishing. Both as publisher and as author my experiences of peer review have been uneven. At best specialists in the field can find technical faults in complicated scientific papers. In the humanities peers have a mixed record: I often encounter referees from related disciplines who seek to impose their own concepts, prejudices and interests on an author’s work in a way which is rarely an improvement. But none of these explanations illuminates what went wrong with the peer review process for a recent paper about pastels in which Maurice-Quentin de La Tour was confused with Georges.